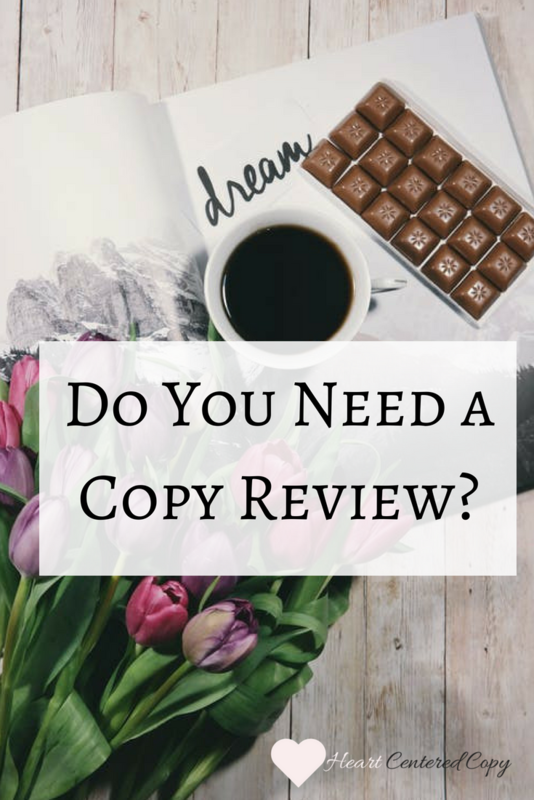 Do You Need a Copy Review? How do you feel about your website copy? What about the content you’ve written for your emails? Are they all scheduled out and ready to go? Writing your content is half the battle. In fact, it can be the most difficult part for many people. But then, you also need to prep it for publishing. Honestly, this is where a lot of my clients get stuck. I’ve walked with them hand-in-hand from the beginning to publication and a common hangup is not feeling the copy is ready for publication, or not knowing what needs to be done to get it that way. Some people struggle with the writing part but others… they struggle with completing things. If you have 20 projects started and nothing completed, you might be one of these people. If you have emails to your list, but they’re not scheduled to go out yet. If you have beginnings of blog posts, but nothing finished and polished yet, this might be you. Or maybe you’re able to write it all, but you just need another set of eyes to go over and be sure it’s doing what it’s meant to do. You’ve already done the hard part – you’ve written your copy. You know your audience and your product the best, after all. However, how do you know it’s ready to publish? You’re not a professional copywriter. Are their typos and grammatical errors? Will it convert? Are you communicating your message the way you intend? Sometimes you don’t need a copywriter to create the content; you just need someone to review it for you. You’ve spent hours pouring over your copy, trying to get every little detail JUST RIGHT. Perhaps, you’ve even taken some courses to try to get just the right blend of brand story and converting copy. You need to make sales. You want to increase traffic. You need eyeballs on your stuff! You might even be getting the page views, but they’re just not converting into sales. You post offers in groups but get crickets. Why doesn’t anyone want to buy your services/product? A copy review may be in order. Maybe you don’t need a copywriter to write it all for you – after all, you know your audience and your product better than anyone else! Are you ready to dramatically increase your conversion rate? Are you sitting on copy you’ve written, but you’re afraid to pull the trigger and go live with? For when you’ve already written some awesome copy, but you want a professional to give it a read-over. Get your copy review here.